Most engaged couples with a wedding on the horizon, rarely consider that they may one day decide to divorce their future significant other. 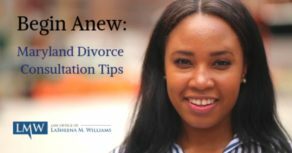 Despite the unromantic nature of considering a divorce, an engaged couple should carefully consider a worst-case scenario for their relationship. A Maryland antenuptial agreement, may potentially reduce the risk of lengthy divorce litigation. A properly drafted Maryland antenuptial agreement can also help protect key assets from potential claims by your future spouse in a divorce proceeding. 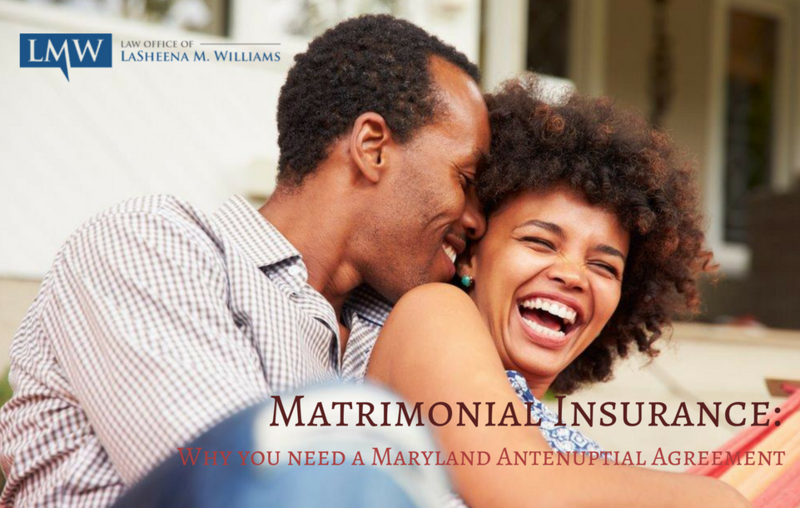 Many people mistakenly believe that Maryland antenuptial agreements are only for celebrity couples or the ultra-wealthy. In reality, many couples use Maryland antenuptial agreements to help preserve their personal assets. 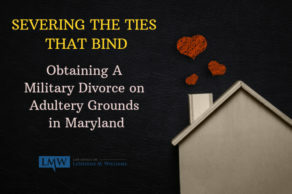 A well-crafted Maryland pre-marital contract can put an anxious couple at ease by outlining alimony obligations and marital asset division. 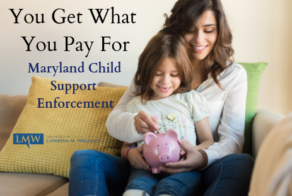 Although many aspects of a marriage can be handled through a Maryland antenuptial agreement, it is important to understand that an antenuptial agreement cannot assign rights regarding child custody or child support. What is a Maryland Antenuptial Agreement? A Maryland antenuptial agreement is a contract between a couple prior to marriage. A Maryland prenuptial agreement can establish how the couple will divide property and income accumulated during the marriage. A Maryland antenuptial agreement only becomes enforceable upon the couple’s divorce. Why Enter into a Maryland Antenuptial Agreement? An antenuptial agreement can reduce the potential for financial disputes during the divorce process. 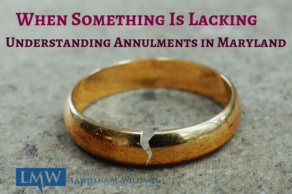 In addition, a Maryland antenuptial agreement can serve to protect assets that are being brought into the marriage or business assets that are maintained during the marriage. 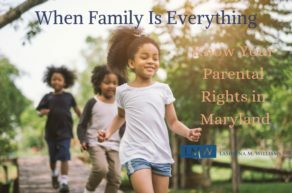 Drafting a Maryland Antenuptial Agreement in Montgomery County, Maryland and Prince George’s County, Maryland. 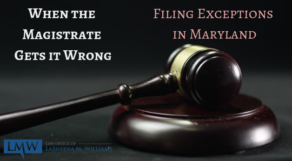 Because a Maryland antenuptial agreement is a contract, courts may refuse to enforce an agreement because the parties failed to fully disclose assets or entered the agreement without being fully aware of the consequences. Courts generally prefer that each party is represented by an attorney, or at least that an unrepresented party has access to an independent attorney. 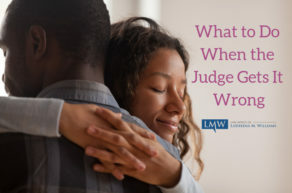 Both parties should ideally be represented by counsel, in order to reduce the risk of one party being unfairly taken advantage of in a divorce. Legal representation for drafting a prenuptial agreement can help avoid the possibility that the prenuptial agreement is rejected. By providing the financially disadvantaged spouse the opportunity to consult with an independent attorney, it is more likely that both parties’ interests are represented fairly in the agreement, that the proper disclosures are provided, and that the prenuptial agreement is upheld in court if it is later contested. By providing the financially disadvantaged spouse the opportunity to consult with an independent attorney, it is more likely that both parties’ interests are represented fairly in the agreement, that the proper disclosures are provided, and that the prenuptial agreement is upheld in court if it is later contested. If you have other questions or concerns about Maryland antenuptial agreements and whether a Maryland antenuptial agreement is right for you and your partner, please contact our office today. You can request a consultation online or by calling (301) 778-9950. At the Law Office of LaSheena M. Williams, LLC we can help negotiate and draft your Maryland antenuptial agreement.